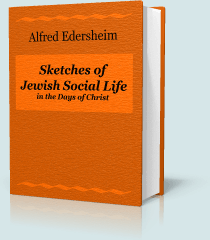 Sketches of Jewish Social Life in the Days of Christ, by Alfred Edersheim, connects Christians to the time of Christ's earthly ministry, drawing a complete and full picture of the world in which Christ walked. "The object of this volume is kindred to that of my previous book on The Temple, its Ministry and Services as they were at the Time of Jesus Christ. In both I have wished to transport the reader into the land of Palestine at the time of our Lord and of His apostles, and to show him, so far as lay within the scope of each book, as it were, the scene on which, and the persons among whom the events recorded in New Testament history had taken place. For I believe, that in measure as we realize its surroundings—so to speak, see and hear for ourselves what passed at the time, enter into its ideas, become familiar with its habits, modes of thinking, its teaching and worship—shall we not only understand many of the expressions and allusions in the New Testament, but also gain fresh evidence of the truth of its history alike from its faithfulness to the picture of society, such as we know it to have been, and from the contrast of its teaching and aims to those of the contemporaries of our Lord. ...Throughout, my constant object has been to illustrate the New Testament history and teaching... And now it only remains at the close of these investigations once more to express my own full and joyous belief in that grand truth to which all leads up—that "CHRIST IS THE END OF THE LAW FOR RIGHTEOUSNESS TO EVERY ONE THAT BELIEVETH." Subjects of Study. Home Education in Israel; Female Education. Elementary Schools, Schoolmasters, and School Arrangements. 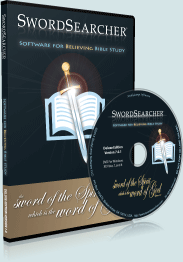 The Edersheim SwordSearcher book module includes The Temple: Its Ministry and Services and Sketches of Jewish Social Life. This module also contains The Temple: Its Ministry and Services.